Schedule a complimentary inspection of your Residential or commercial property and effectively rid your life of termites! Our expert team can even implement a termite protection plan to prevent future problems. In the battle for termite control, San Diego residents need vigilance. Of all the unwanted pests that can damage your property, termites are one of the sneakiest. The biggest danger of termites is that they may quietly attack your home for months before you even notice them — and by then, the damage is already done. Fortunately, with skilled termite inspection and quick extermination services, Adios Pest Control can give you back control over your property. We’re ready to inspect and protect your home no matter the size, with services from termite fumigation, to spot/local treatments, pre-treatments, and heat treatments. Adios Pest Control’s certified team is available 24 hours a day. Each member of our dedicated team has years of experience, and the result is quality service that surpasses industry standards. We can even help you with structural damage and wood repair! When you need an efficient, dependable, and highly-qualified termite exterminator, San Diego homeowners can rely on Adios Pest Control. Termites cause billions worth of damages in properties. They feed on wood, paper, books, and even swimming pool liners. The thought of having these insects inside your house affects the value of the property and causes emotional stress. When it comes to these problems, trust Adios Pest Control to provide the right solutions. Swarms of winged termites appear during spring, leaving structural damage in their wake. Termites feast on soiled wood and build new colonies once the weather turns humid. 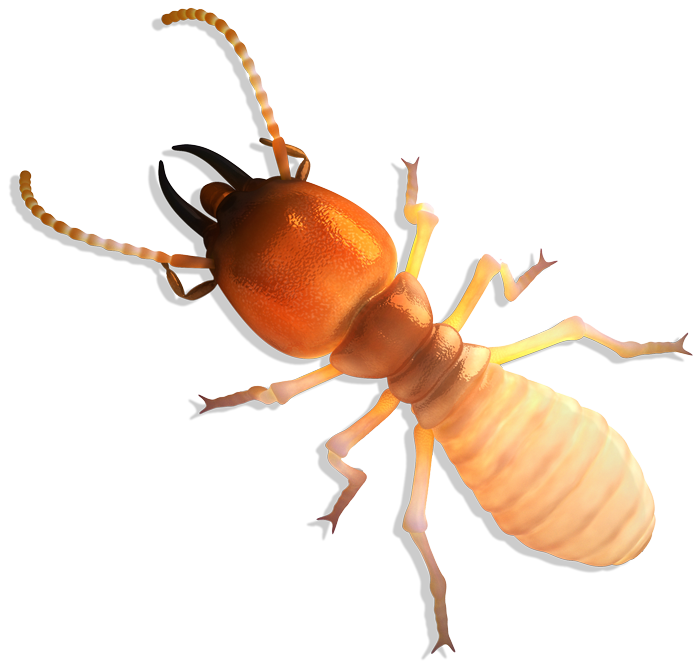 Our termite control service eliminates these pests and save your home from the problems they cause. Homeowners face all sorts of threats, but termite infestations are one of the worst. In many cases, you may not even know the pests are there until you see signs of damage to your property. Termite Control in San Diego is No Joke! As San Diego residents, we love our warm, sunny home beside the sea. Unfortunately, plenty of pests enjoy the heat and moisture, too. Wood destroying organisms like termites cost American homeowners about $5 billion in property damage, and 60 to 80% of San Diego homes may be infested. Termites have evolved to eat wood, and they work fast — rapidly destroying your furniture, belongings, and even the structure of your property. The longer you wait to seek help, the more damage those hungry bugs will do to your home. At Adios Pest Control, we take termite inspection and eradication seriously. Our adept professionals begin with a thorough visual inspection of your home, including both interior and exterior. After exhaustive analysis, we offer in-depth written reports with recommendations for treatment, fumigation, and the expected repair costs. From banishing the pests completely, to helping you with all-important structural repair afterwards, Adios Pest Control will ensure you’re supported and informed every step of the way. Don’t wait another minute to begin your fight against termites. If you think you have an infestation, call Adios Pest Control today at (866) 955-7378, or request a termite inspection. We’ll solve your problem as fast as the termites created it — saving your home from further damage.